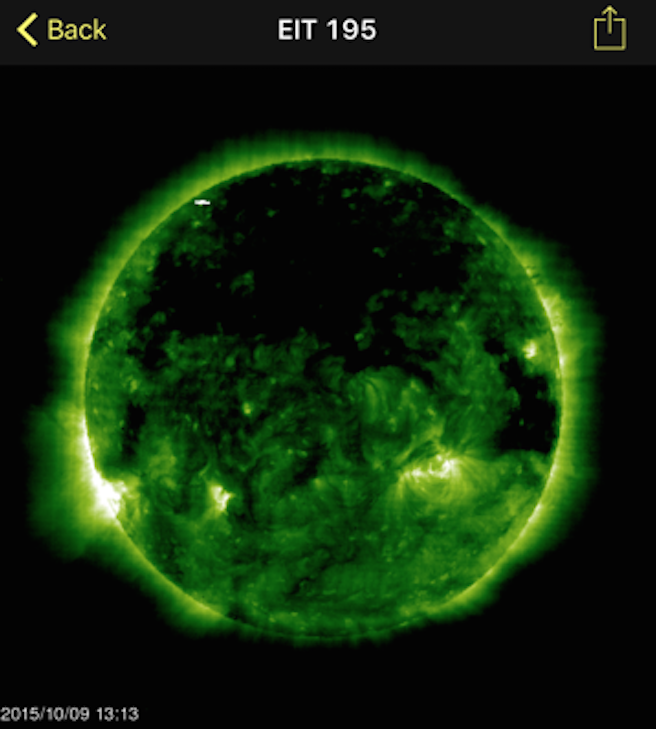 UFO SIGHTINGS DAILY: Moon Size UFO Seen On Suns Surface On Oct 9, 2015, UFO Sighting News. 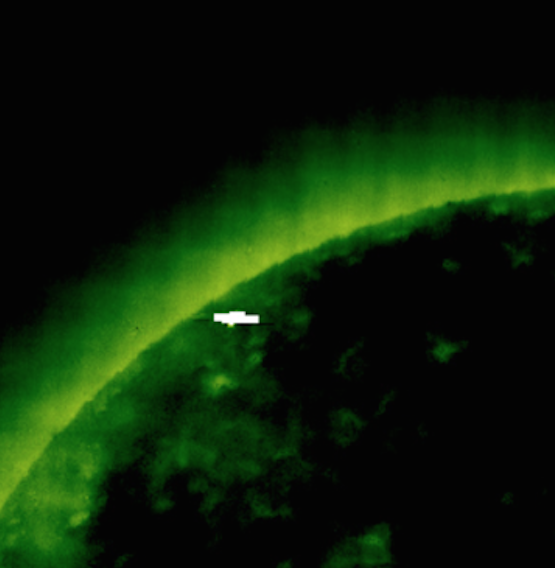 Moon Size UFO Seen On Suns Surface On Oct 9, 2015, UFO Sighting News. 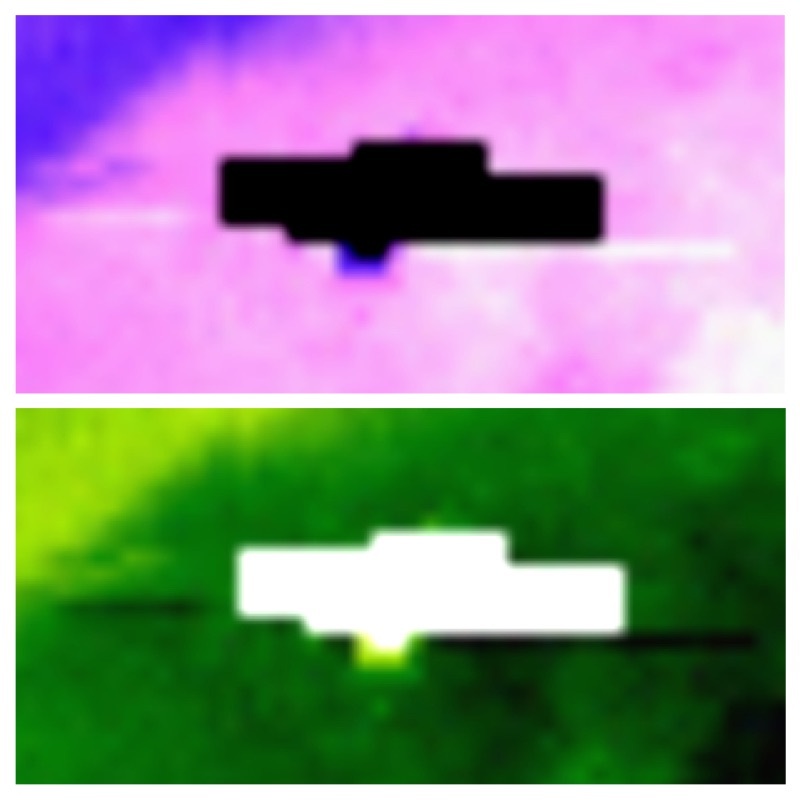 I found this UFO near the sun and it looks like its almost touching the surface of the sun its so close. The UFO is very long, about the length of our moon. It also has many right angles which also denotes intelligence design. I'm not sure why NASA refuses to answer questions about these UFOs, but I do know that they spent millions on these cameras and they are incredibly accurate with few flaws. UFOs were first reported around the sun about 4-5 years ago by two Russian scientists. They called them moon size UFOs (many) that orbit the sun and change direction at 90 degree angles. The also change speeds, suddenly stoping or speeding up.